The Rt. Hon. Lord Heseltine has enjoyed one of the most high profile careers in modern British politics. For thirty years, from his days as Minister for Aerospace in the early 1970s to his appointment as Deputy Prime Minster in the mid-1990s, he has consistently ranked as one of the best known public figures. By bestowing two successive nicknames – first ‘Tarzan’ and then ‘Hezza’ – the public displayed its instinctive rapport with him. Born in Swansea, Michael Heseltine was educated at Shrewsbury School and at Pembroke College, Oxford, where he read politics, philosophy and economics. In 1957, Michael founded Haymarket, which is now one of the largest independent magazine companies in the country with extensive interests overseas. Michael was Opposition Spokesman for Industry from June 1974 until becoming Opposition Spokesman on the Environment in November 1976. From May 1979 until January 1983 he was Secretary of State for the Environment and a Member of the Privy Council. He was appointed Secretary of State for Defence in January 1983 before resigning from the Cabinet in January 1986. In late 1990, Michael challenged Margaret Thatcher for the leadership of the Conservative Party, she resigned and he joined John Major’s Cabinet as Secretary of State for the Environment. Following the 1992 General Election he served as President of the Board of Trade and Secretary of State for Trade and Industry before becoming First Secretary of State and Deputy Prime Minister until April 1997. 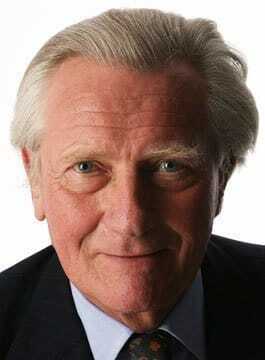 Lord Heseltine rejoined the Haymarket Board of Directors on leaving Government in 1997, and became chairman of the Haymarket Group in March 1999. His first book, Where There’s a Will, was published in March 1987 and his second, The Challenge of Europe: Can Britain Win? in May 1989. His political autobiography, Life in the Jungle was released in September 2000. In October 2012 he published No Stone Unturned in Pursuit of Growth, an independent review into how the public and private sectors in the UK work together to create wealth. More recently, at the behest of the Prime Minister, he headed up a project in Birmingham to pilot his proposals. Lord Heseltine is an inspiring and charismatic speaker. He has delivered very high profile talks on a range of topics and is well known for his public performances. Speaking topics include: Industry, Environment, Media, Politics, Defence and Aerospace.